Miley Cyrus hosting MTV Video Music Awards. 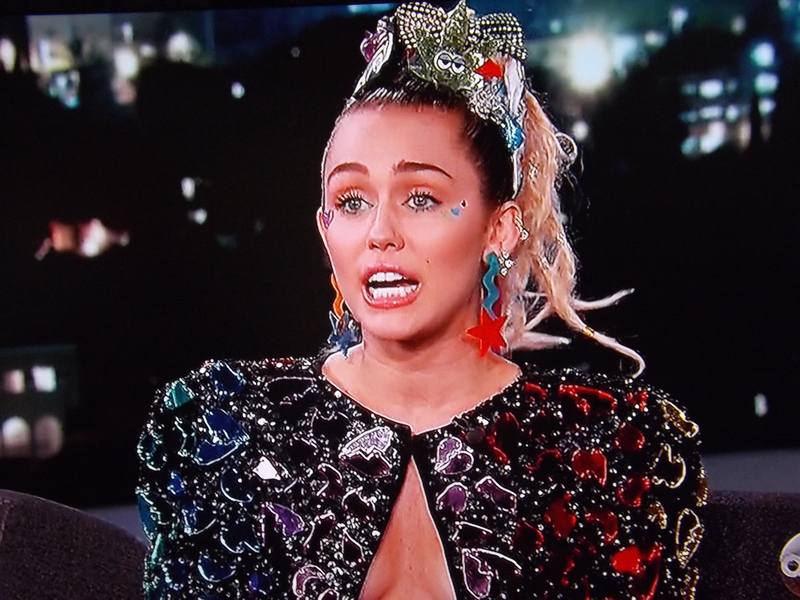 Miley Cyrus had a lot of fun during Wednesday’s episode of Jimmy Kimmel Live!, and that extended to her wardrobe choice as well. She’s the new host for MTV Video Music Awards, that is premiering this Sunday night on MTV at 9pm. Will she be wearing her heart-shaped pasties as a shirt Sunday night? She was a guest on the Jimmy Kimmel show he asked if she was comfortable with the attire, Cyrus remember what happened when she met Paul McCartney and he was uncomfortable around her and she was too. Cyrus said she was inducting Joan Jett into the Rock and Roll Hall of Fame, wearing something similar. What will she wearing at MTV awards this Sunday night as the host? Watch it MTV Video Music Awards at 9pm. Next Post How to Avoid Math?